If you spend the majority of your work hours staring at a computer screen, you’ve probably experienced some eye strain. What you may not know is there’s a name for it: Computer Vision Syndrome. In today’s increasingly digital workplace, it’s becoming more and more important for employees to be careful with their vision. 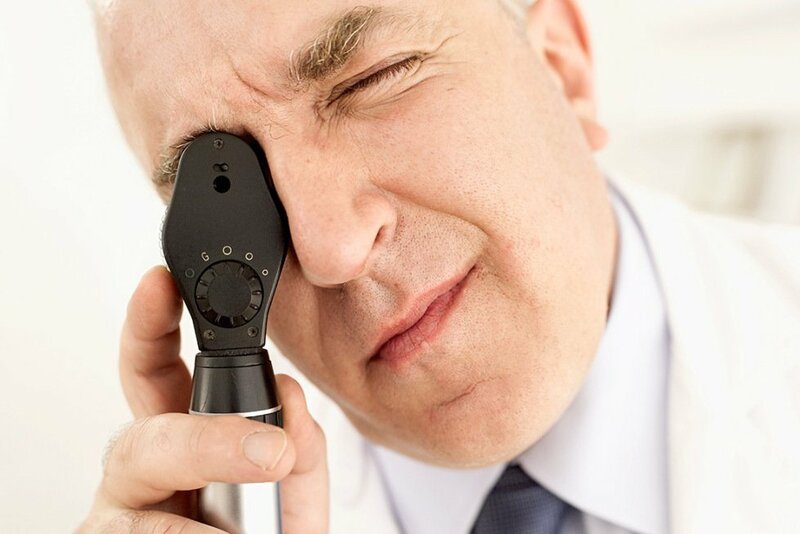 Extended periods spent staring at the monitor are not beneficial for your eyes. Fortunately, clever eyewear designers have come up with computer eyeglasses! Ok, maybe you won’t be able to take that day off because of work-related migraines, but at least you’ll feel a lot more comfortable when you’re at your desk. Computer vision syndrome isn’t just one thing—it is a whole range of eye ailments that affects between 50-90 percent of those who use computers for extended periods. The symptoms are varied and include eye strain, headaches, blurred vision, dry eyes, and head and neck pain. But what can you do if spending consecutive hours looking at the computer screen is r required by work or is simply how you choose to spend your off hours? 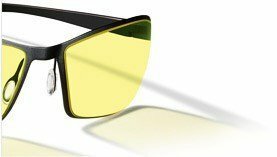 Fortunately, Gunnar Optiks has created a solution: Gunnar Computer Glasses. Called “computer screen glasses,” “anti-glare eyeglasses,” or just “computer glasses,” this innovative eyewear has been scientifically proven to reduce eye strain that results from overexposure to a computer screen. Computer eyeglasses look just like any other pair of specs, but they’re designed specifically for use with computers (or any other digital screen) because they filter out blue light. Blue light, emitted from digital screens, is made of short wavelengths and produces a lot of energy. The sun emits UV and blue light. It’s the blue light that does your retinas harm with repeated, long-term exposure. Computer glasses lenses are designed to filter as much as 50 percent of the “bad” blue light. One source of eyestrain is computer screen glare. This glare is reflected off of the screen and can be intensified through smudges on eyewear lenses. Gunnar Computer Glasses not only offer anti-reflective coating to help minimize the glare, they also have hydrophobic and oleophobic finishes. These finishes help keep the lenses clear of smudges and fingerprints, ensuring that the lenses are clean and glare-free. People that stare at computer screens for prolonged periods of time typically blink less. This causes the eyes to become drier than normal. Gunnar's closely-wrapped glasses frames help keep the eyes moist by creating an ocular microclimate that traps humidity around the eyes. Depending on the size of the frames and lenses, many eyeglasses can cause headaches and eye strain because of excess weight focused on the bridge of the nose. 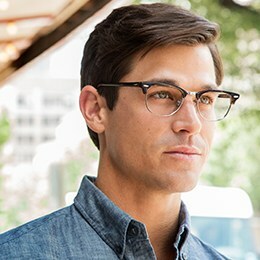 Using a patented diAmix lens, Gunnar Computer Glasses help reduce these side effects by incorporating a lens type that is extremely lightweight and therefore more comfortable on the face. It might have been a “material world” for Madonna, but it is most definitely a digital world where the rest of us live and work. Lucky for us, computer glasses are here to make life in the digital world a little easier to handle. By filtering out so much of the light that causes our eyes to strain, and with some nifty technological features thrown in, computer glasses have the potential to change how we work and play.